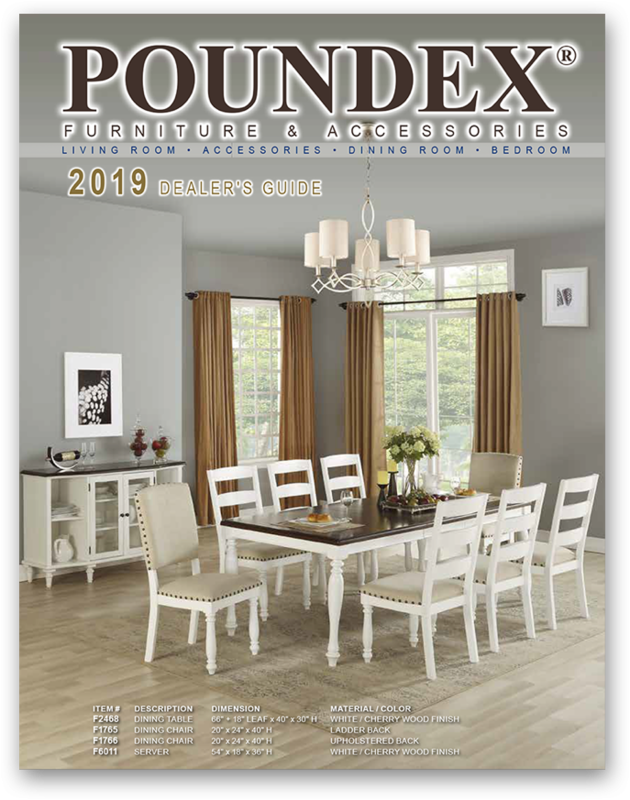 Founded in 1988, Poundex consistently offers customers the finest quality furniture at the lowest possible prices. We are dedicated to customer service and continue to strive to set the standard in the industry for value, style, and craftsmanship. Browse our online showroom and discover the vast array of family décor solutions we offer from exclusive brands including Bobkona Upholstery and Lizkona Outdoor collections. No minimum order for customer self pick-up. Cash & carry or pre-paid; Mastercard and Visa also accepted. Cash only for the first four orders on all new accounts. Net-30 credit term is available through our factoring company. Minimum $1,000 each order. We will provide you with our factoring company contact information. Restrictions may apply. Once your account with our factoring company is set up, please allow 24 hours for credit approval for your order. $600 minimum for shipping orders & freight paid by customer. Exchange for manufacture defective items must be made within 180 days. Direct import program is available. Please call for details. Poundex furniture is intended for household use only. Not for commercial use. All of the content on this website is subject to copyright and trademark held by Poundex Associates Corp. Your use of the trademarks, service marks, trade dress and copyrighted material displayed on this website is strictly prohibited. You may print and store selected portions of the content, provided you (1) only use these copies of the content for your own personal, non-commercial use, (2) do not copy or post the content on any network computer or broadcast the content in any media. Poundex Associates Corp. reserves complete title and full intellectual property rights in any content you save from this website. Except as noted above, you may not copy, reproduce, modify, publish, distribute, transmit, transfer or create derivative works from the content. You acknowledge, by your use of this website, that your use of this site is at your sole risk, that you assume full responsibility for all costs associated with all necessary servicing or repairs of any equipment you use in connection with your use of this website, and that Poundex Associates Corp. shall not be liable for any damages of any kind related to your use of this site. To the extent our Web Site contains hyperlinks to outside services and resources — the availability and content of which Poundex Associates Corp. does not control — any concerns regarding any such service or resource, or any hyperlink thereto, should be directed to the particular outside service or resource. 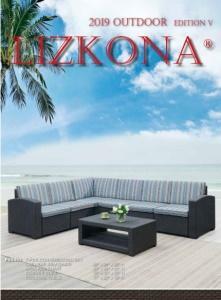 Most products displayed on our website or in our catalog are available in Poundex Associates Corp. & its branches. In some cases, merchandise displayed for sale on our website or in our catalog may not be available at Poundex Associates Corp. Please contact your nearest Poundex Associates Corp. first to see the availability for each item. Poundex does not guarantee the accuracy of any content displayed on this website, this includes item number, color, product details, etc. Before purchase, customer must verify purchase content with Poundex customer service or catalog to ensure the accuracy of the product. Due to improvement for some items, items that are shown on this website might be slightly different than the ones that you actually receive. Product color might also be different due to your monitor display.